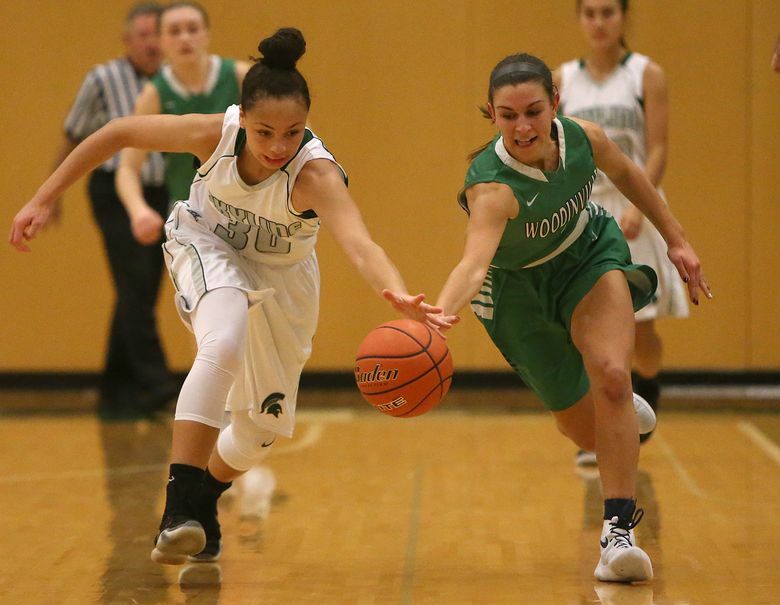 The senior attacked the rim, the freshman was hot from outside, and defense was strong all around as the Woodinville girls basketball team won its third straight game by defeating Skyline, 55-42, Friday night. 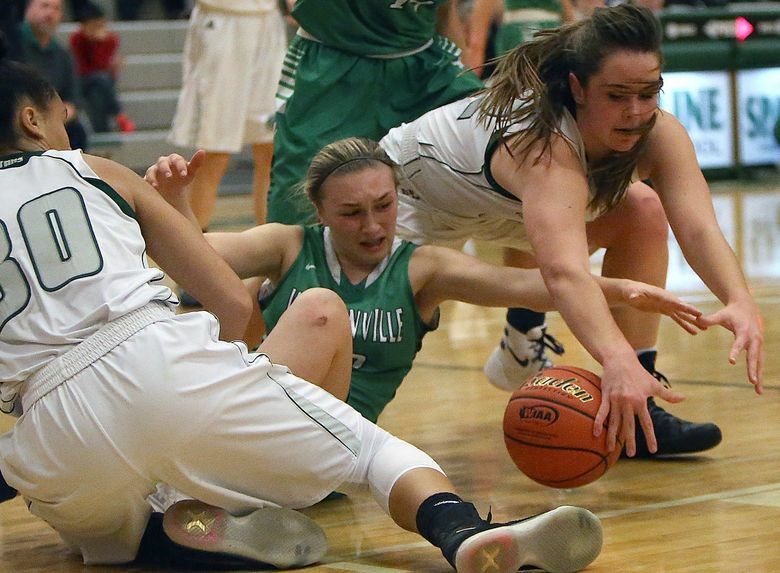 ISSAQUAH – The senior attacked the rim, the freshman was hot from outside, and defense was strong all around as the Woodinville girls basketball team won its third straight game by defeating Skyline, 55-42, Friday night. 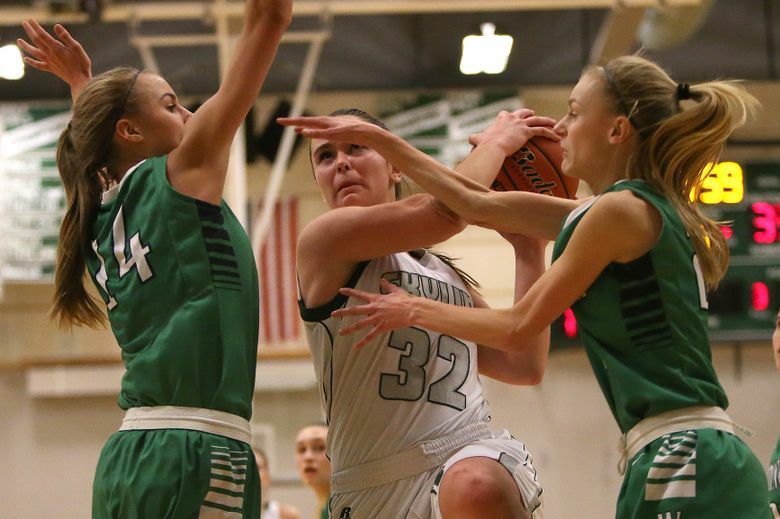 Senior Emily Spencer led the Falcons (6-2 overall, 4-2 KingCo 4A) with 16 points, and freshman Madison Dubois finished with 13, scoring 10 in the third quarter, as Woodinville rebounded from a sluggish start to top the Spartans (3-3, 3-3). 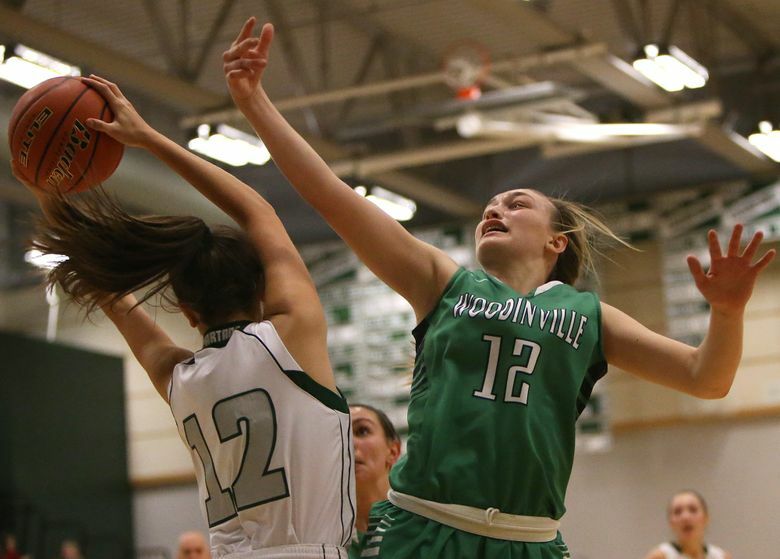 “Emily had most of the drives inside, Madi hit some perimeter shots, and together we had a really solid second half,” said Woodinville coach Scott Bullock. The Falcons built a 21-15 lead after holding Skyline to just four points in the second quarter. 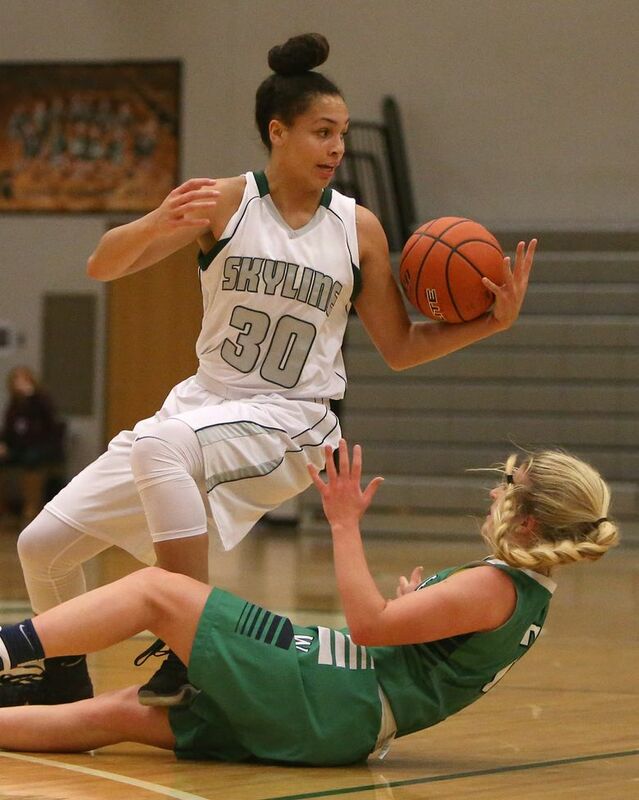 The lead grew to 10 points early in the third, but back-to-back fast-break layins by Skyline seniors Cassidy Daugherty (12 points for the game) and Taylor McKerlich (who finished with a game-high 19) cut the lead to 27-23. 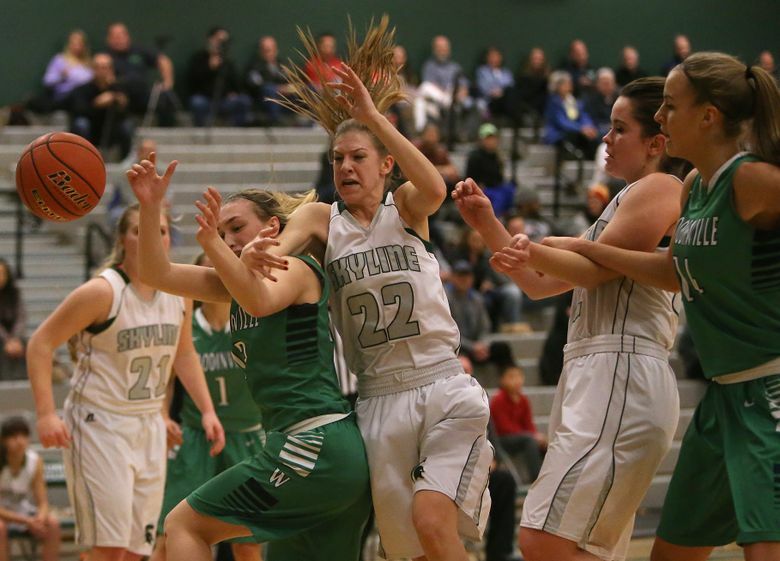 Woodinville built a 12-point lead late in the third quarter, but again Skyline narrowed the gap to four (39-35). But a midcourt steal by Spencer followed by a nifty assist to Nikki Zaback for a layin triggered a 13-3 run that finally put this game away. 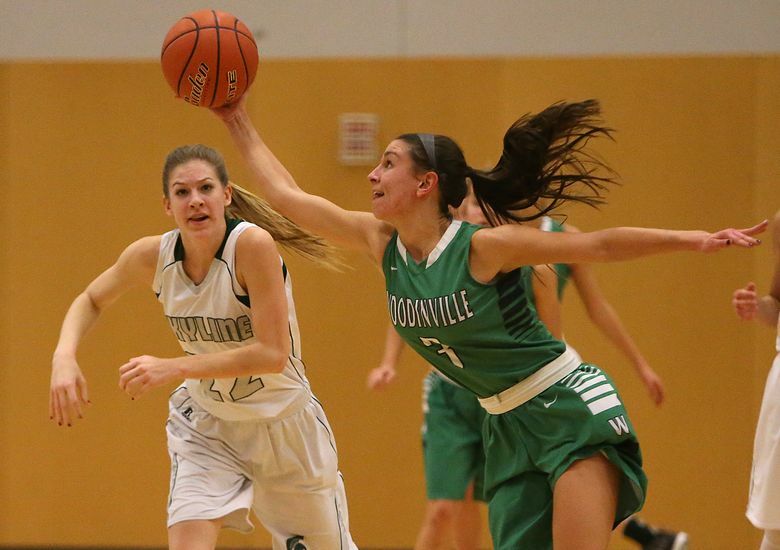 Bullock recalled that Spencer was the first freshman to play regularly for Woodinville in three seasons. Dubois is the latest to make the jump to varsity. 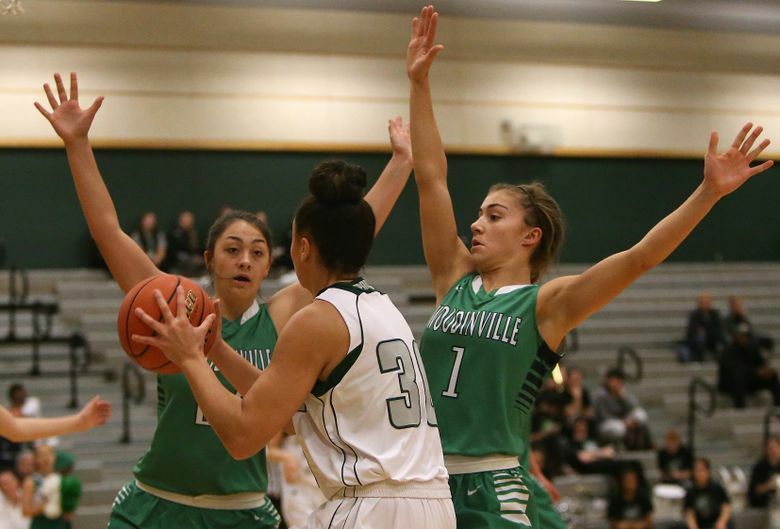 Spencer, with eight points in each half, pointed out that Woodinville got contributions from many players, such as two three-pointers in the second quarter from freshman Alena Coomer. Dubois hit consecutive three-pointers in the third quarter.